The Gambit chandelier marries high end materials and retro styling for a bold look. Offered on aged brass or satin nickel. 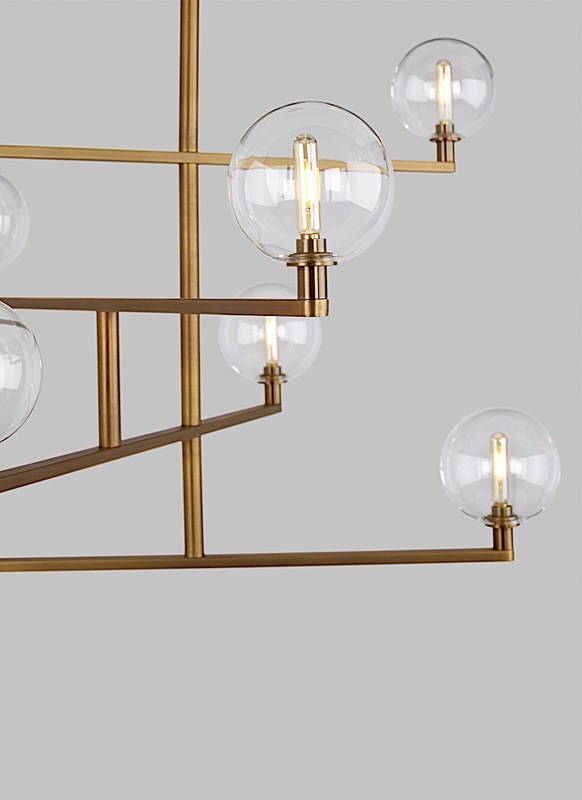 The convergence of contrasting elements including hard lines from their elegantly plated metal hardware and soft curves from their seemingly delicate yet durable borosilicate glass globes make this chandelier incredibly attractive. 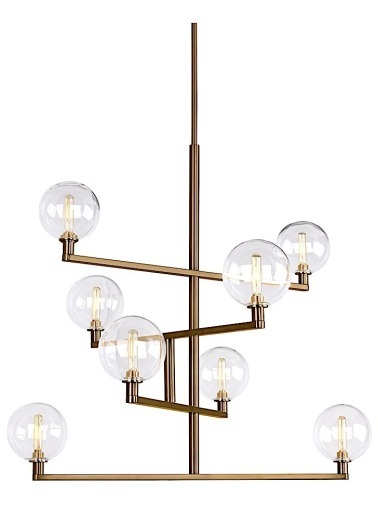 Select incandescent to add (8) 5 watt, E12 candelabra base (Lamp Not Included). Select LED for (8) 120 delivered lumen (1280 total delivered lumens), 2700K, E12 base LED vintage tubular lamps. Fixture provided with 60" of variable rigid stems. Dimmable with LED compatible or triac dimmer.